MavenThread multi use headbands are perfect for working out or wearing every day. They are soft, stretchy, sweat-wicking, and made of a high quality blend of fabrics. You no longer have to worry about headbands being too small and hurting your head or stretching too big and falling off. The MavenThread design is versatile and fashion-forward, giving you a high end look without a high end price. 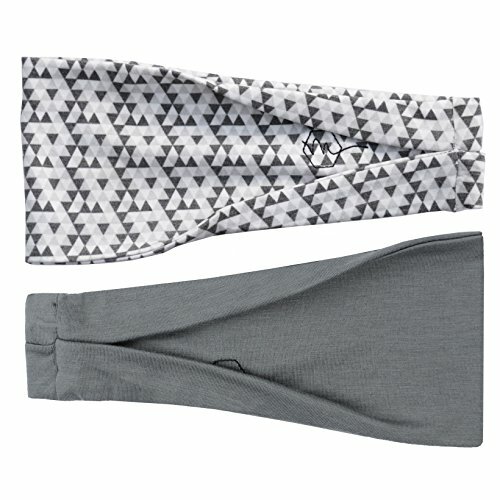 The best weat-wicking women's headbands made with highest quality fabric and design. Stretchy fabric designed to be worn without hurting your head or leaving marks. High Quality, Modern, and trendy fabrics you are GUARANTEED to love. Versatile design, great for workouts or every day use. 2 Pack. You will feel the difference when you hold these. Quality design and product. If you have any questions about this product by Maven Thread, contact us by completing and submitting the form below. If you are looking for a specif part number, please include it with your message.